What made you want to write a Peter Pan retelling/reimagining? Peter Pan and Wendy has been my favorite story since I was a little girl. Like many young girls, fairytales became my “thing” at a young age and followed me into my adult life as I found myself working for Disneyland as a character actress. Now that my costume days are over, I’m combining my passion for writing and fairytales to create a series that will capture the hearts of readers who never want to grow up. Don’t tell my publicist, I am currently conquering my fear of flying. I know! Ironic, huh? Normally, I don’t fly without someone to hold my hand, but I flew out to New York by myself recently to go meet my Scholastic team. Coloring books are very Zen. What 2016 book releases are you excited about? I’m looking forward to The Star-Touched Queen by Roshani Chokshi and Two Summers by Aimee Friedman. I’ve had the opportunity to read both books and they’re phenomenal. If you weren’t a writer, what would be your career? Is this question geared toward real or imagined? In real life I was in the fitness industry, teaching classes before I launched my writing career. If this were a “I wish I could be” job, I would love to work with wild animals. Wild cats, primates, elephants, that sort of thing. If this were total fiction…I’d be a space pirate, pillaging and sailing the great universe. I married my Disney sweetheart who was a Matterhorn Climber. Needless to say, he’s taken me sport rock climbing. Although I’m not afraid of heights, there is something daunting about being several dozens of feet above the ground being held up by a rope and a few bits of metal. What is one material item that you could not survive without? Bacon. Heaven forbid if there ever comes a time that there is a bacon shortage. What are your favorite types of scenes to write, and why? Humor! I love writing funny scenes. Unfortunately, most of them get cut from the final manuscripts. It’s hard to write dark fantasy and still have giggling scenes. Thus, Gabs, my funny secondary character, to the rescue. What is one thing that drives you absolutely crazy? Negative social media posts drive me absolutely nuts! Always, always put forth your best you for the world to see. What's the silliest thing you have heard people say about you? I once had someone say to me, “Oh you’re an author? Must be nice not to work.” I smiled sweetly and said, “It isn’t a bad gig.” Meanwhile, in my head I was calculating all the hours I spent writing, rewriting, revising, editing, querying, sobbing over rejections, cheering for representation, editing again, waiting on submission, revising, editing, and now I’m starting all over with book two. I have a birthmark in the shape of Australia on my right leg. I’ve had four moms related to me either by birth or marriage at one time…ha! Good luck figuring that one out. I’ve signed thousands of autograph books, but the majority of the times not in my own name. I have a tattoo of an angel, because I have always believed that a guardian angel watches over me. I’m fairly fluent in sign language. That said, I’m a bit rusty so be patient with me if you see me and test out my sign language. 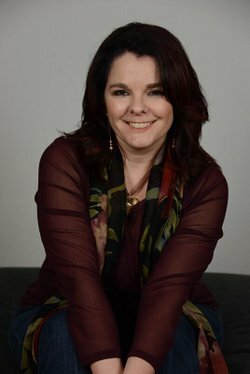 Brittany: Thank you, Wendy, for being on our blog today! I hope all of you enjoyed this interview. 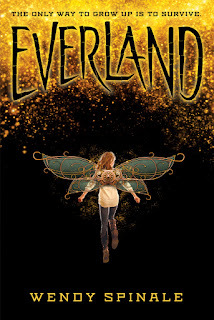 If you need more convincing to pick up Everland be sure to read my 5 Star review! Also, be sure to check out the rest of the tour as well as the giveaway below! This book sounds amazing! That's awesome that Wendy knows sign language! It is amazing! And Wendy is just awesome, period! I'm so glad that this book is getting that much buzz! It's truly fantastic and yay for a great birthday! This is basically in my favorite genre of books, yay! That's awesome ^_^ I hope that you love it as much as I do! I love Peter Pan retellings and finding books that give this tale a twist or two. This will be an exciting read for me. This is my first Peter Pan retelling and I absolutely love it! It has a great twist to the story that I know (I never read the original. For shame, I know). I hope you love it! It's already on my tbr. 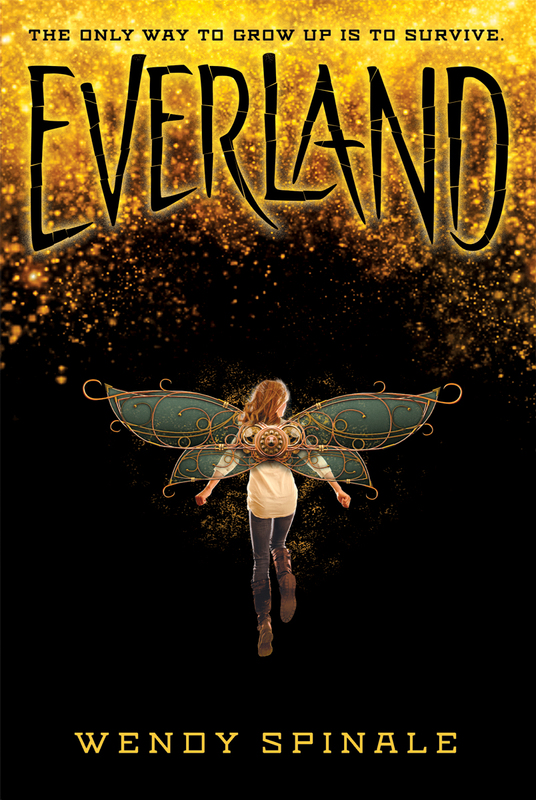 I'd love to win a copy of Everland! I totally agree about negative social media. I don't understand being that way to someone else. 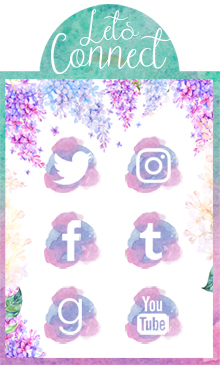 To me social media is a place for fun and friends! Great interview! If everyone was just respectful and nicer to each other the world would be a better place. Thank you for stopping by! I absolutly LOVED this book. It is my fav. book of all time.